2016 Restaurant of the Year: L’Opossum | Food and Drink | Style Weekly - Richmond, VA local news, arts, and events. 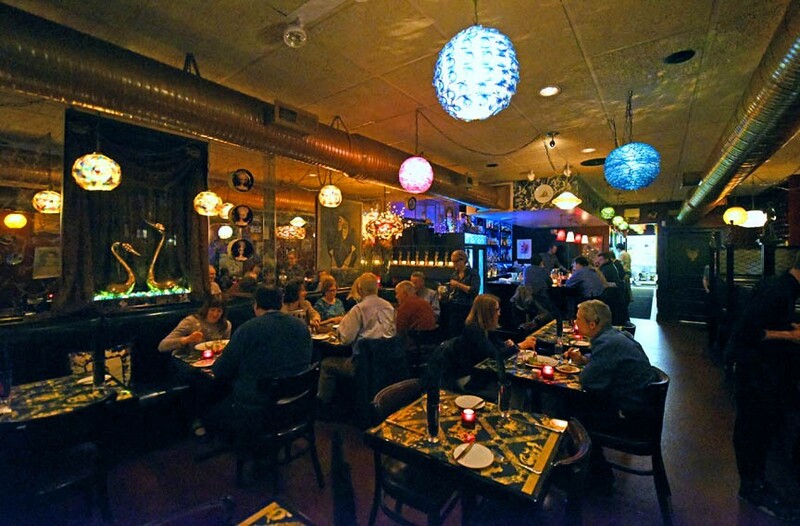 Memorable flavors, eccentric design and bold choices make this a clear Richmond favorite. Scott Elmquist L’Opossum’s David Shannon tweaks diners’ sensibilities with the menu’s descriptions. 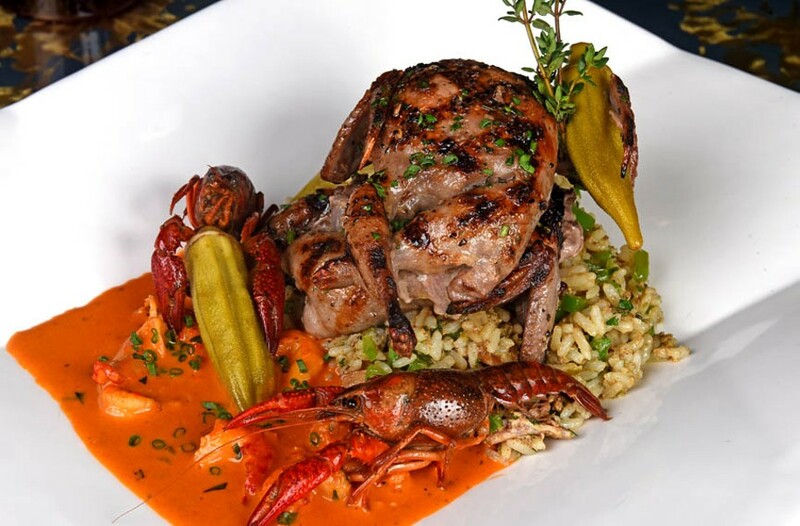 Here, the Big Easy blackberry-brined quail sits “astride filthy, dirty naughty rice” flanked by crawfish. A giant bronze replica of Michelangelo’s “David” greets you at the nearly 2-year-old restaurant, followed by a dozen tiny replicas at the host station. You also might spot L’Opossum chef David Shannon leaning on the pass-through, looking out at the diners filling the place. Tables are topped with Andy Warhol-designed wallpaper and Barbie plates by John Waters hang on the walls — a surprising marriage of kitsch and fine art that defines Shannon’s sensibility. From the speakers above, Andy Gibb just wants to be your everything. Darth Vader looms, inscrutable from a set of Star Wars collectable plates. The room is dark but chock-full of candy-colored light fixtures, twinkling bits of shine, needlepoint and a truly surprising stained-glass window. Shannon writes his menu with passion — effortlessly finding, it seems, the double-entendre that tweaks diners’ sensibilities while describing food that arrives on boldly patterned china, rising upward here, floating there. 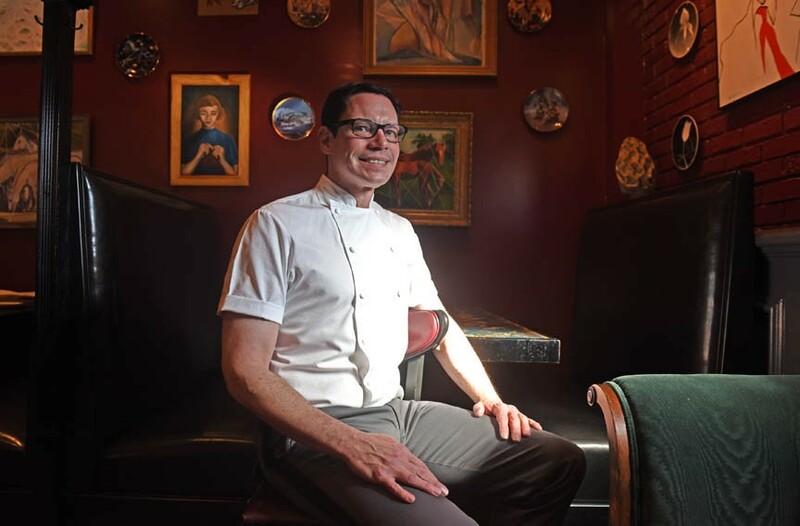 Chef and owner David Shannon is a nominee for the 2016 James Beard Awards’ best chef Mid-Atlantic. It could be precious, cheflike fare, but each dish delivers the goods, tastewise. Nothing on the menu could possibly be described as homey, yet simple things, such as the New Orleans dirty rice accompanying the Big Easy, blast past labels to arrive at something you’d like to eat the next day — and the next. Shannon gathered his kaleidoscope collection of kitsch, fine art and a stuffed possum named Lola for years before opening his restaurant. “I love blending really good things with the stuff that I find in alleys or yard sales,” he told Style in 2015. 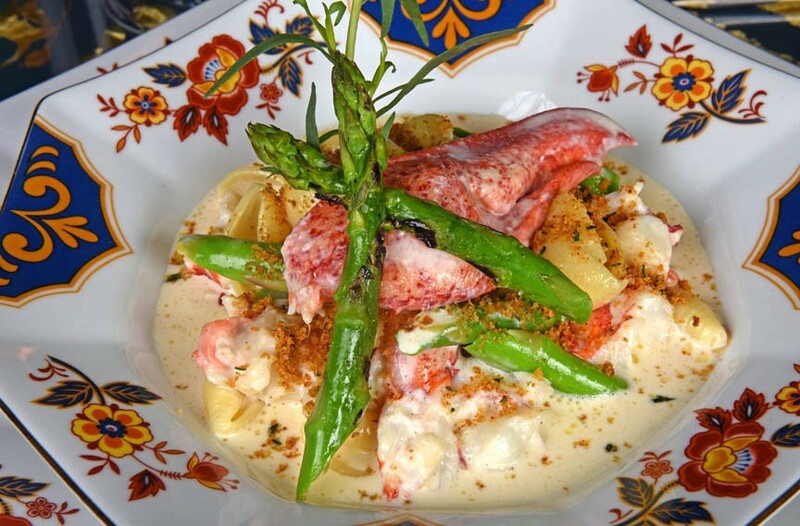 Butter-poached lobster and pasta shells folded into white truffle Mornay sauce is a decadent riff on the childhood staple, mac ’n’ cheese. Shannon’s sense of humor can’t undermine his profoundly serious approach to food. A graduate of the New England Culinary Institute, former Inn at Little Washington sous chef, the man who brought the grilled Caesar salad to Richmond in the early 2000s at his old restaurant, Dogwood Grille & Spirits, Shannon recently was named a semifinalist as 2016 Best Chef Mid-Atlantic by the James Beard Foundation. It’s a good time to mention that exactly a decade ago, Style’s team of food writers and restaurant reviewers named Shannon’s Dogwood Grill & Spirits as our first Restaurant of the Year. They cited it as the city’s ideal dining experience, with warm service and charm, a restaurant that took risks that were balanced with a very-Richmond tone and restraint. 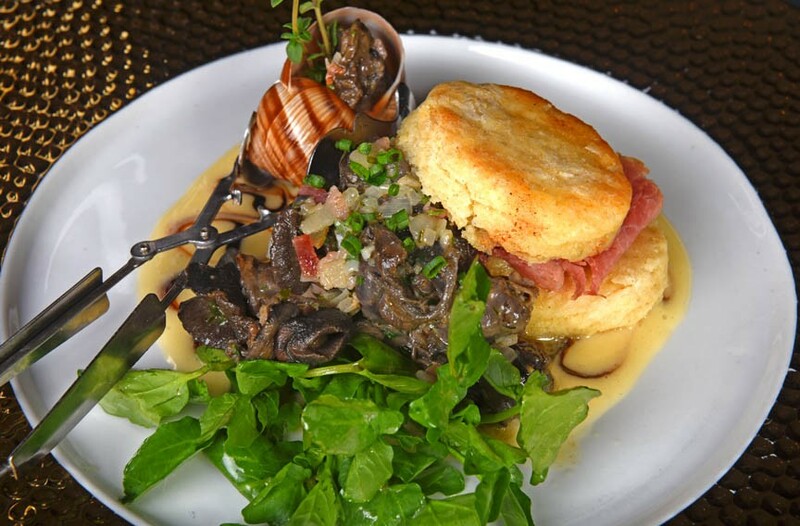 Shannon’s Southern background and French culinary training result in dishes such as this one: escargot with a ham biscuit surrounded by a garlic beurre blanc. As you order a dish of hot black bottom a la mode “topped by a dominant rich ganache and whipped cream,” to end the evening, it’s easy to agree with Vanessa Williams as she croons over the sound system that Shannon left the best for last.